Gary Dop, English professor and director of Randolph’s M.F.A. program in creative writing, has announced that his second book of poems, Earth Never Settles, will be published by Red Hen Press. The title for the book, which will be released in 2020, is inspired by the final line of one of Dop’s poems. 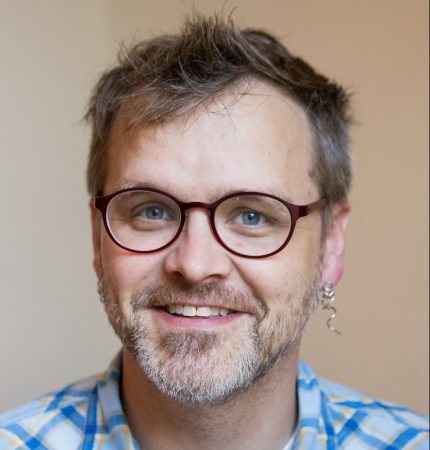 He is the recipient of the Great Plains Emerging Writers Prize and a Pushcart Special Mention, and his work has been heard on public radio’s All Things Considered. His first book, Father, Child, Water was also published by Red Hen Press, which is the largest independent press in Southern California. Dop’s poetry and prose appear regularly in Georgia Review, Prairie Schooner, New Letters, Washington Post, New Ohio Review, Poetry Northwest, AGNI, Sugar House Review, Rattle, and elsewhere.